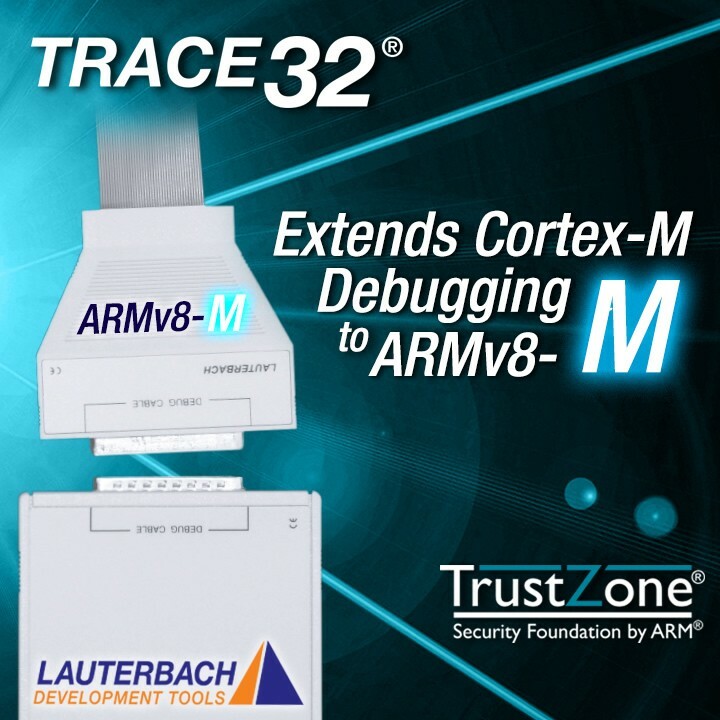 Lauterbach, the leading manufacturer of microprocessor development tools, has announced that its TRACE32® debug tools now support cores of the new ARMv8-M family. These new cores of the ARMv8-M family include the Cortex®-M23 and Cortex®-M33 core and have similar performance to the existing Cortex®-M3/M4 devices, whilst offering low power performance and a small footprint. 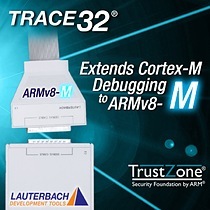 They also include a new integrated version of the ARM® TrustZone® ensuring that these cores are suitable for secure IoT applications. Lauterbach debug tools have become a favourite with many hi-tech engineers, and the company is recognised for both engineering excellence and exceptional technical support. 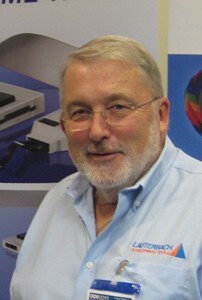 Lauterbach tools support all of the major families of microprocessor cores, covering products from 75 silicon companies. The quality and capability of Lauterbach tools enable engineering teams to develop robust code whilst minimising development time lost to debugging.